The reinforced filter material thickness facilitates gel removal and ower operating costs due to extended lifetime. 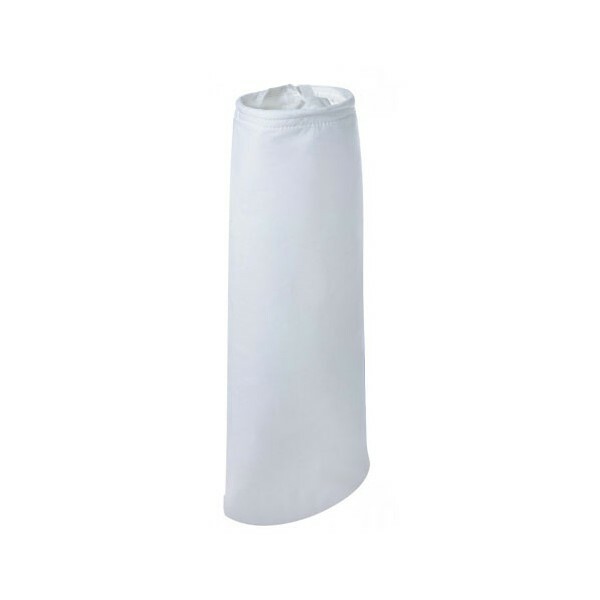 DURAGAF filter bags comply with FDA and EC directives and regulations for food contact. Material is free from silicone and crater-forming substances. Fully-welded construction with patented SENTINEL seal ring provides 100% bypass-free filtration. The pressure-activated SENTINEL seal ring provides a flexible, chemically resistant seal which adapts to any bag filter housing. Hayward strongly recommends the use of an insertion tool that facilitates the insertion of the filter bag into the bag filter housing and ensures the correct alignment of the filter bag inside the restrainer basket.